When you’re working on a healthier lifestyle, sometimes it means you have to give up some favorites. Many people look forward to the Golden Arches’ St. Patrick’s Day staple, the Shamrock Shake. 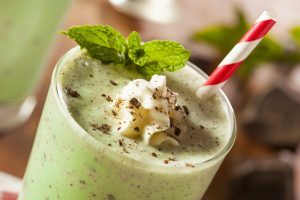 However, those minty little treats are loaded with ingredients that aren’t exactly the best for us, not to mention nearly 900 calories per 22-ounce cup! The recipe we’re sharing comes in at 1/3 of the calories and is full of healthy ingredients that are actually good for you! It’s easy to whip up in your bullet style blender, and satisfies paleo, vegan and keto diets alike. This recipe makes two servings, so you can share with a friend! We hope you enjoy! Add coconut milk, avocado, vanilla extract, mint extract, salt, sweetener and mint leaves to a blender. Blend until creamy and smooth. Add in ice, blend until thick and creamy, adding a little water if needed. Serve with homemade whipped cream if desired. The harsh winters we experience here in the Capital District can often wreak havoc with our homes. 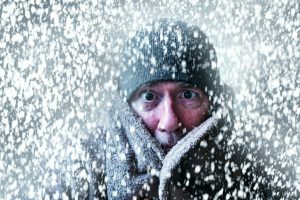 That’s why it’s always a good idea to take stock in your home’s exterior, especially after a particularly snowy winter. When the snow melts, you might notice some things you didn’t necessarily see during the long winter months – and get them repaired before summer arrives! Window Screens: Windy, stormy winters, ice buildup and more can cause damage to your home’s window screens. In order for them to do their job of keeping bugs out, they need to be in good shape. So replace any torn or damaged window screens before it’s time to let the fresh air in. Roof Shingles: We recommend that you leave roof inspection to the experts. It can be dangerous if you haven’t had the proper training! Hire a roofing professional to check out your home’s shingles and make sure they’re not curling. Shingles that are can make your roof more susceptible to leaks, so getting them replaced as soon as possible is good practice. Siding & Trim: Icy conditions can cause damage to your home’s siding and trim. Look at any wooden components of your home’s exterior in case there is any wood rot, cracking or other concerns (like termites). For brick or stucco homes, check for any crumbling, cracking or deteriorated mortar. If you see any issues, contact a professional to help with repair or replacement. Gutters & Spouts: During the fall and winter months, leaves, pine needles and other debris can collect in your home’s gutters. Get them ready for spring rains by cleaning them out – again, due to safety concerns, we recommend hiring a pro to help. Make sure you maintain your AC equipment this spring, too. 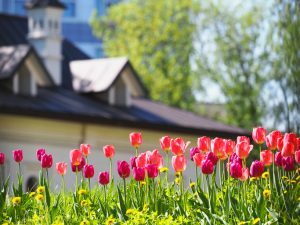 Of course, there is plenty you can do around the outside of your home in anticipation of the warmer weather, such as cleaning up any leaves, debris and waste from your lawn, and if you have flower beds, starting to prepare them for blooming and planting. And, you should give Family Danz a call for your AC maintenance needs, too. We’ll be more than happy to get your spring maintenance scheduled, so you’ll be all set for warmer days ahead. 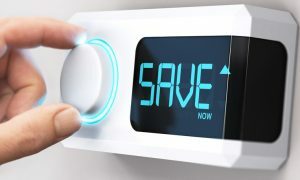 If you’ve been thinking about upgrading your home’s heating or air conditioning system, there’s no better time than the present. 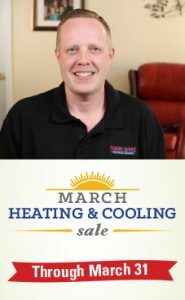 That’s because right now at Family Danz, you can take advantage of our March Heating & Cooling Sale. You’ll be able to save thousands with our best offer of the year*. When you upgrade to one of our high efficiency systems this month, you can get it all. But, these savings are only available throughout the month of March, so you have to act now. That adds up to $3,075 in total savings – making for one incredible deal. And, financing is available to qualified buyers**, so getting a new, higher efficiency heating or cooling system is easier than ever. But you have to hurry! Once March ends, so with this amazing deal. To learn more about how you can get into a new system this spring and save money, too, contact us online or call us at 518.427.8685, and we’ll be happy to assist you. Winter seems to have lasted forever, but in just a couple of weeks, spring will arrive. Of course, living in New York we know that just because the calendar says spring is here, doesn’t mean we won’t still be in for some chilly weather. But, it’s still a good idea to start preparing for those warmer days ahead. One of the best ways you can do that is by calling to get your air conditioning maintenance scheduled with us. 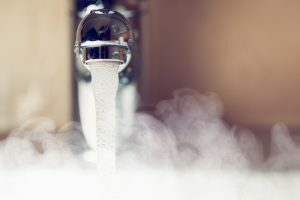 At Family Danz, we know that maintaining your home’s air conditioning system is one of the best ways you can be sure it will operate effectively and efficiently. 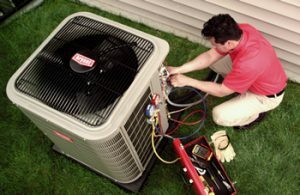 Getting your AC system the regular maintenance it needs not only helps your system run better all summer long; it also helps it last longer, too. Not to mention, you can choose a comprehensive maintenance plan that will keep your system in perfect shape and provide you with additional benefits as well. And did you know, the most common problem with air conditioning units stem from a dirty system? When air filters and coils become clogged, your system will operate much less efficiently, and eventually may have issues that require repair. And, a dirty AC system is the perfect place for mold, bacteria and allergens to collect – causing not only inefficiency, but poor air quality as well. 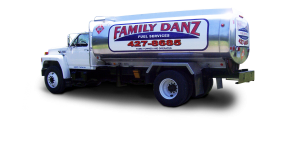 Getting your annual maintenance from Family Danz can help you avoid all of that! Getting the annual maintenance your system needs is important to the life and efficiency of it. We’ll help you get the maintenance you need to keep your air conditioning system running properly now and for years to come. Scheduling service with us is easy – just give us a call at 518.427.8685, or fill out our online contact form, and we’ll be happy to assist you! Nothing says love quite like a sweet treat made from the heart. If you’re looking for something special to give your sweethearts this Valentine’s Day, why not consider making something yourself? 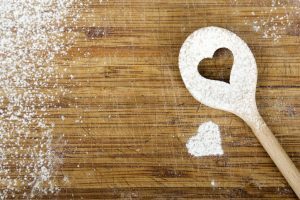 In honor of the month of hearts and flowers, we’re sharing a recipe for cherry kiss cookies from Taste of Home. These delicious cookies are perfect to give to someone special. Whether you’re making them for a loved one, your co-workers, your child’s teacher or a friend, they’re sure to be appreciated! Preheat oven to 350ºF. In a large bowl, beat butter, sugar and salt until blended. Add in cherry juice, extract and food coloring. Gradually stir in flour. Stir in chopped cherries. Shape dough into 1” balls and place 1” apart on greased baking sheets. Bake 8-10 minutes or until bottoms are lightly browned. As soon as you remove from oven, press a chocolate kiss into the center of each. Edges may crack a little. Cool on cookie sheet for two minutes, and remove to wire racks to finish cooling. If you haven’t had annual maintenance done on your furnace this year, why not show it a little love this February and schedule an appointment with us? Getting preventive maintenance will keep your furnace running all winter long. Just give us a call and we’ll be happy to set up a heating maintenance appointment with you. Many of us are guilty of over-spending. Some of us are seasonal over-spenders and some of us are chronic over-spenders. Regardless of where we fall on the spending spectrum, when we choose to, we can almost always find ways to reduce our expenses, especially during the holiday season. Here we will discuss five tips to skinny down your spending for Thanksgiving without sacrificing a delicious meal and wonderful memories with family and friends. Our first tip is to take an honest look at your guest list. It is easy to over-invite, especially during the holidays, but often this can lead to overextending ourselves monetarily and with regards to our time commitment. While perhaps uncomfortable and unfamiliar at first, it is ok to say no or to let past guests know that you’re hosting a smaller group this year. In addition to saving money, a smaller guest list will allow for greater face time with each guest. Regardless of the number of guests on your list, asking your invitees to contribute to the dinner will not only assist you in keeping your budget in line, but also reduce your own workload. Nearly everyone has a specialty dish or a favorite item that they would be happy to share with the group, which will also give your gathering more character. It can be easy to try to please everyone on your guest list and fall into the trap of making too much food. Not only is this a budget killer but can also be a mood killer as the added stress of trying to remember exactly what each guest’s preferences are can be exhausting. Sometimes less is more and that can certainly apply in this situation. 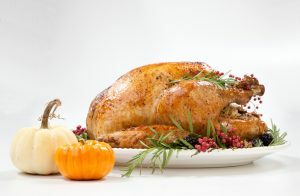 Additionally, most grocery stores will be offering sales on Thanksgiving staples in the weeks leading up to the feast. Shopping these sales, and shopping smart, can help you keep your budget on track. Curate a menu, take inventory of the ingredients that you already have on hand and then make a list in anticipation of the sales, being careful to buy only what you need. Our final suggestion depends on a number of variables so it will be up to you and your guests to decide if it works for you, but dining out may just be a less expensive option to hosting and preparing a Thanksgiving meal. Many restaurants that choose to open on holidays have a flat price, all-inclusive meal option and the only preparation required is making a reservation. While you sacrifice some control in this scenario, it can also all but eliminate the stress associated with hosting a holiday in your home.